Shopping around for a used car can be stressful because you may feel uncertain about the actual condition of the cars you're considering. To make the experience better, check out these tips. If you're trying to find a great used car, you may have already come across some issues. For one, how are you supposed to know if the car is really in such great condition as the seller would like you to believe? While this process may be a lot trickier than buying a new car off the lot, it isn't impossible. To help you find the perfect used car, use these tips. To start, identify what type of car you're looking for. This will narrow down your search significantly, helping you focus your attention on cars that will actually fit your needs. 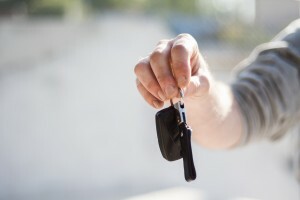 You don't have to know the exact make and model of the car you want, but having a few different options to consider can make your search easier. If you're not super sure, ask yourself some questions like: what do you need the car for, how many people need to fit in your car, and what type of gas mileage do you want? Next, you need to set a budget that is realistic. You know your finances best, so you will need to be honest about how much you can afford to spend on a car. You also have to be realistic about how much the cars you're considering cost. When setting your budget, create a budget range instead of one solid number. This will give you more negotiating power once you find a car you like. Instead of giving the sale's person the highest number in your budget, start somewhere in the middle so that you have space to move around in and negotiate the price. You may end up spending more than your initial offer but still manage to stay within your budget range. So, you found a car you love, but how can you be sure it's actually as great as the seller claims? One easy way to get unbiased information about the car is by running a vehicle history report. If you're buying a used car from a dealership, they will usually include this in the price of the car. If you're buying from a private seller, you will most likely have to pay to run a report on the car yourself. Although it does cost some money, it's worth the investment. A report of this type will be full of information on the car's history, including accidents it's been involved in. Once you purchase the perfect used car, keep it in great shape by keeping up with regular maintenance. The first step to keeping your car in perfect shape is giving it synthetic oil changes in Warminster at regular intervals. If you use a product like AMSOIL's Signature Series 0W-40 Synthetic Motor Oil, you can be sure your car will stay healthier for longer. To find more products like this, contact Synthetic Oil Direct at (215) 834-8720. When considering a car, don't just take the seller's word on it. Give the car a thorough inspection yourself. Even if you're not super sure what to look for, take a look at how well the car has been taken care of. Rust, dents, and general dirtiness may tell you that the car hasn't been well cleaned or maintained over the years. Remember that the cosmetic condition can affect the car's resale value as well as its performance. To test out how the car handles, ask to take it for a test drive. Take it on city streets as well as on the highway to get a good idea of how it runs and handles on both. Take this time to also test out the electrical components in the car. Test the air conditioning, the defroster, the radio, and all the other controls. If you're not great with cars, you can always enlist the help of a mechanic. Take the car to your trusted mechanic and have them check it out for you. They can tell you what condition the car is really in and if it needs any repairs. You can use this information to weigh out if the car is worth your investment. Take care of your new car by keeping up with synthetic oil changes in Warminster! Let Synthetic Oil Direct help you find the perfect products for your vehicle. Give them a call at (215) 834-8720 or stop by their online shop to learn more about their products.